Warner Melvin Karshner was born in December of 1874 on his father’s farm in Ohio. After a brief move with his family to Kansas, his restless father was unhappy with the weather of the Midwest and very quickly decided to move to the new territory of the Pacific Northwest. Soon after arriving in the Puyallup Valley, Warner’s father purchased a 3-acre farm in the N.W. corner of Puyallup. Warner quickly embraced his new town, loving his surroundings and the opportunities for work in the Valley. Picking berries and hops for area farmers was one of his first jobs, but he also was a janitor at the Central School, and was a sexton of the First Methodist Church where he rang the bell for services and stoked the furnace. But despite these opportunities, Warmer’s father wanted nothing more to do with civilization. He sold their farm to John R. Rogers (future governor of Washington and namesake of Rogers High School). The family moved to the Olympic Peninsula where the family filed a new homestead claim. Despite his fathers desire to live a life on a farm without influences of civilization, his parents truly valued education and had a great desire for the best education for their children. So strong was this belief, it was decided that Warner, his 3 brothers, one sister, and his mother would move to Olympia where they could attend school during the winter. In the summer, all were needed on the farm, but this sacrifice was made during the winter where education could be the focus of family concern – and pride. Warner graduated from High School, then enrolled at the University of Washington. To save money, he and a friend lived in a shack they built on the university campus. During the summer months, he worked on a fishing boat to earn the money to pay his tuition. Incredibly, to save money, he would walk from Gray’s Harbor (where he fished) to Seattle each fall. In the Spring, he would then walk back to Gray’s Harbor. After graduation in 1898, he returned to the Puyallup Valley to teach school. He primarily taught at Maplewood Elementary, although substituting at all Puyallup schools. Karshner’s goal was not to be a teacher, however. He was saving his money to attend medical school. After saving enough for a years tuition, he enrolled in the Northwestern University Medical School near Chicago. there, during his last year of studies, he met Ella Hibbert and soon after, asked her to be his wife. After graduation, he returned to Puyallup to establish a medical practice and built a home on 4th St. S.W. and West Pioneer. With that done, he married his Ella on March 4, 1905. A few years later, their only child was born. Paul Hibbert Karshner became the centerpiece of his parents lives. Dr. Karshner’s contributions to our city live on today in many ways, the most obvious being that of the Karshner Museum, and in the many lives he brought into the world with the over 2,000 babies he delivered in our community. 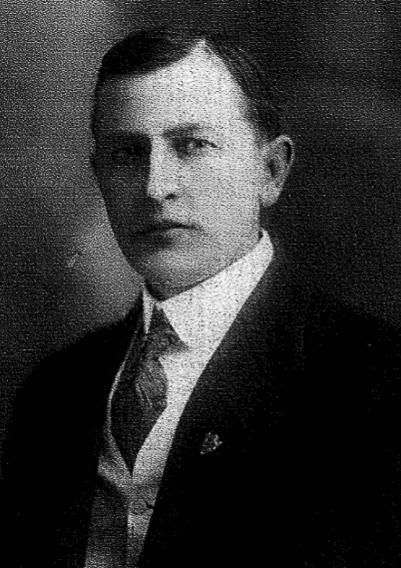 For 25 years, Dr. Karshner had taken care of most all the health needs of Puyallup’s citizens, lovingly assisted by his wife Ella Hibbert Karshner, whom he married on May 14, 1905. The early years of his practice were difficult. There were no health care facilities in the Valley, and few modern conveniences such as electricity, running water, and with only the basic medical equipment. Soon after he was appointed as Puyallup’s health officer in 1909, conditions quickly worsened as a case of Bubonic plague was discovered in Puyallup. U.S. Public Health officers visited Puyallup, ordering Dr. Karshner to clean up the city. This was a time in Puyallup’s history were many downtown buildings were in shambles from neglect and abandonment, where there was no sewer lines and no garbage removal systems in place. With Dr. Karshner’s insistence, several buildings were condemned and burned, and the City of Puyallup put in a sewer system and forced city residents to hook up to the sewer. With Dr. Karshner’s efforts, Puyallup became much cleaner, sanitary, and “modern” as a city. As a result, the plague was stopped. Incidences of typhoid fever also nearly vanished, a problem once prevalent in the growing city of Puyallup. Even without modern facilities and patients lack of transportation, Dr. Karshner found ways to treat all his patients. This often included house visits, occasionally performing surgery on a patients kitchen table if needed. But always close to his heart was education. Before becoming a doctor in our city, he served for many years as a teacher in Puyallup before entering medical school. He also served for many years on the Puyallup School Board, and was elected to the Washington State legislature where he chaired the Education Committees. In 1917, the same year he was elected to the State Senate, he entered the U.S. Army Medical Corps, serving as chief physician and surgeon of a military hospital in Georgia. He returned to Puyallup in 1919. It was in 1924 that their only son, Hibbert Karshner, died of a polio epidemic in September of 1924. Paul was only 17 years of age, just beginning his senior year at Puyallup High School. In memory of their son, they established the Karshner Museum. The Karshner’s also established two scholarships at Puyallup High School in his memory. They continue to be awarded even today. Shortly after his son’s death, Dr. Karshner decided to give up his practice in Puyallup and return to the University of Washington to seek another degree. He did in fact complete a Pathology Degree at Harvard University, returning to the UW to teach pathology the UW medical school.